The flower head of a sunflower (Helianthus annuus). 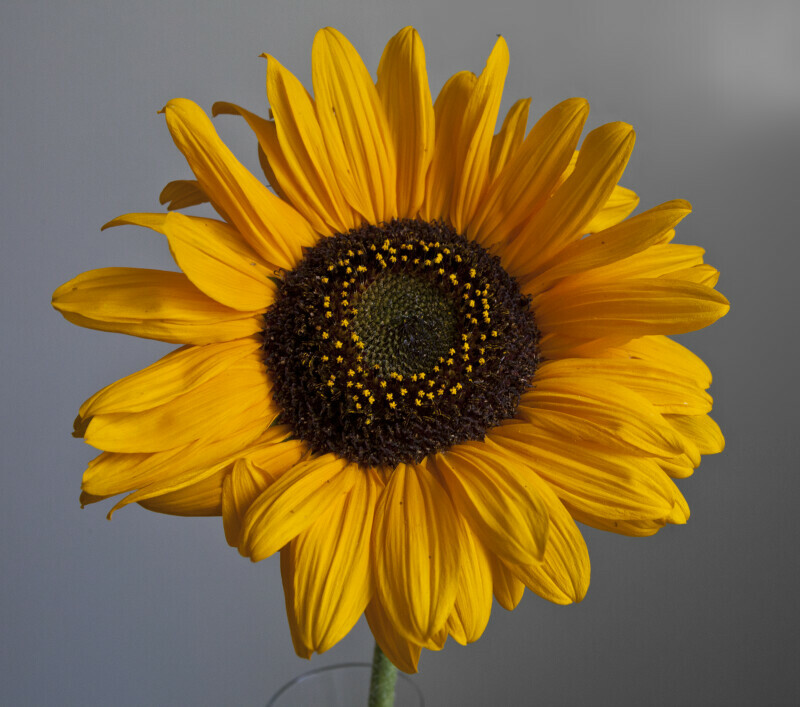 Sunflowers have composite flowers, which contain florets that are in the center of the flower head. The florets are actually small flowers. Extending from the center are the larger ray flowers that are dark yellow in color.